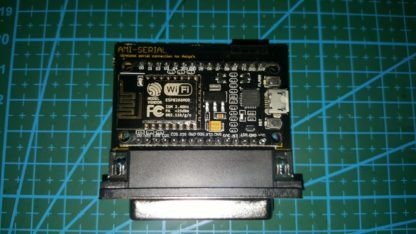 Ami-Serial is a little device that replace a wired null modem connection to a wireless connection. 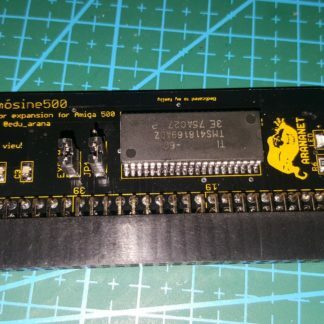 It goes directly to the Amiga Serial Port. Required an external power supply, an Android charger would be enough to power up. This device uses the ESP-LINK firmware, this special firmware, converts the ESP8266 into a wifi-serial repeater. The ESP-LINK firmware first creates an ad-hoc wifi to setup the device IP and then, inside the firmware configuration, allows to setup an infraestructure connection between the ESP8266 and the local wifi connection, ex. (your router). Serial debugging, for example to use with Chucky’s Diagrom. So you can capture the diagrom log via WIFI 🙂 Should work with dialoga roms too. Using the software Aexplorer, you can connect with the PC and browse the amiga files directly from the PC and copy files directly. Note: a software like http://tcp2com.sourceforge.net/ may be required in order to map the tcp port 23 into a virtual com port (for use with Aexplorer). 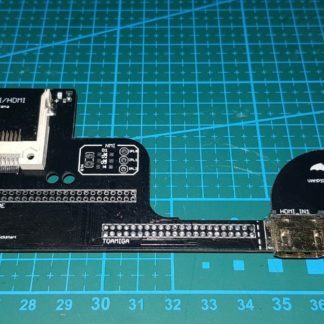 There is an experimental solders jumpers at the bottom of the Ami-Serial PCB in case of replace the current firmware and by putting a SLIP driver, to connect the Amiga directly to Internet. The firmware creates a tcp port, in this case port 23 (telnet) so with any client that support telnet protocol, you can “hear” the words that are on the amiga serial port. 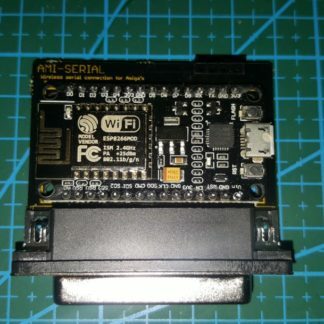 Programs like Putty or the hyperterminal are compatible, you just need to setup a telnet connection, assign the IP of your Ami-Serial device, and thats all. This a demo video showing the Ami-Serial working with diagrom. 1-Plug the power charger. 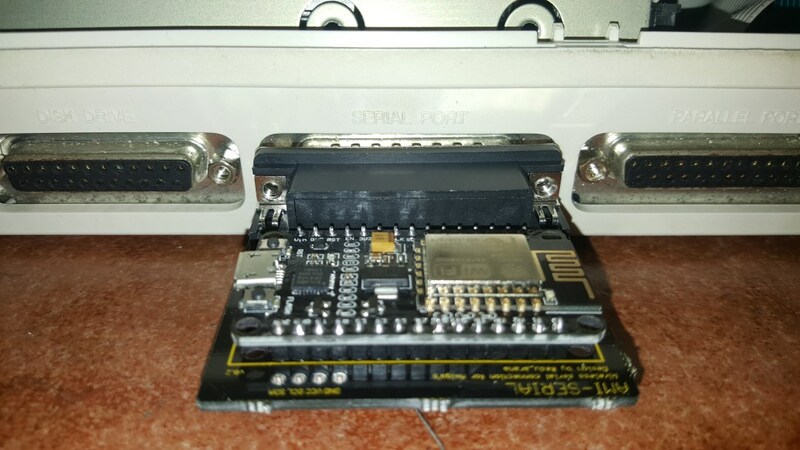 (there is no need yet to plug the Ami-Serial to the amiga yet). 2-Use your mobile phone to locate the ad-hoc wireless network that the ESP-LINKS create, ex: AMI-SERIAL or AI-THINKER_FDF13F (may vary). 3-Connect to that SSID, does not require any password, is open. 4-Once you are connected, with you mobile phone open your favorite web browser and put the IP address 192.168.4.1. (on this part you have to access fast, leave the browser open on the ip 4.1 and when you connect, change to the browser and refresh). 5-If all is OK, you will see a setup page. First of all on the left menu, hit on Wifi Soft-AP > then at right, on the middle, hit on the hyperlink Switch to: STA+AP mode (if is not already), this will allow to still browse on that IP and also find near wifi connections (like your router ssid). After that, on the left panel, hit on Wifi Station and find or write your wifi’s SSID and Password. Then hit on the connect button and if all goes OK, your router will assign a free IP address to the ESP-LINK, and from now on, that will be the IP address for setup and for listening on the serial port. 6-Open you favorite telnet client, I use putty. 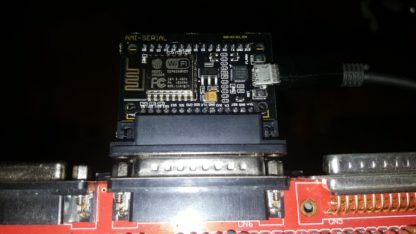 Setup putty for a telnet connection (port 23), put the IP address assigned to the Ami-Serial and hit on the OPEN/Connect button. 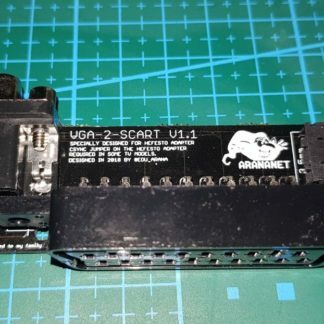 7-Plug the Ami-Serial to the Amiga serial port, connect the power cord to the Amiga, and if you have for example the Diagrom plugged on your amiga, the device will start listening and showing up on the putty terminal connection. Transform it into a Hayes modem Wifi. Short pin 20 with pin 6. Short pin 5 with pin 5.